Also see separate listing for Facebook sites here. For logos click here or if you do not have a Pinterest account here. Llama Association of Australasia (http://www.llama.asn.au/). New Zealand Llama Association (http://new.llamas.org.nz/). Association Française Lamas Alpagas | Accueil (http://www.lamas-alpagas.org/). Llama Association of North America (http://www.lanainfo.org/). North American Ccara Association. (http://www.ccarallama.com/). The Llama Futurities Association (http://www.thelfa.org/). Llamas for the Love of It (https://www.facebook.com/groups/392875630730896/). Llama Canada - Official Website (http://www.llamacanada.com/). Canadian Llama & Alpaca Registry (Claa) (http://www.claacanada.com/). The Vancouver Island Llama and Alpaca Club (http://www.vilac.org/). 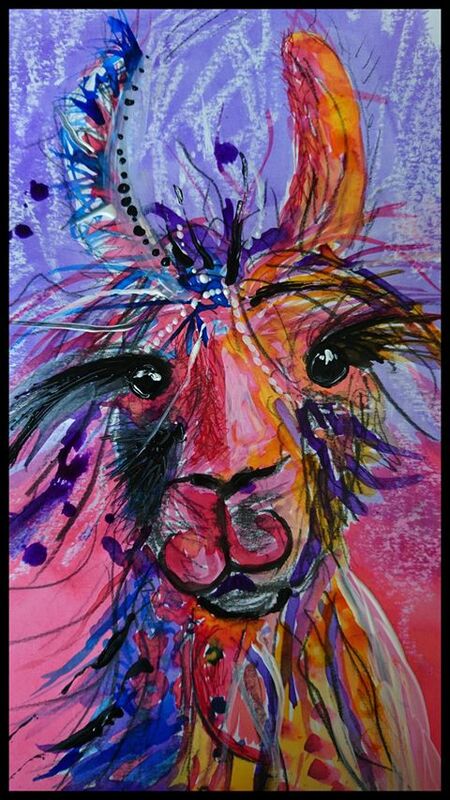 Cal-Ila - Llama Association (http://www.cal-ila.org/). Llama Breeder - an Online Directory of Llama Farms in the U.S. (http://www.llamabreeder.com/). Pack Llama Trail Association (http://www.packllama.org/). Eclectic Camelid 4-H Club (http://www.wou.edu/~sbrewer/clubsite/websites.html). South Central Llama Association (http://www.scla.us/). Southeast Llama Rescue (Selr) (http://www.southeastllamarescue.org/). Greater Appalachian Llama and Alpaca Association Home. (http://www.galaonline.org/). Rocky Mountain Llama and Alpaca Association (https://www.facebook.com/rockymountainllamaandalpaca). Rocky Mountain Llama and Alpaca Assn. Website (http://rmla.com/). Star Llama Company_Llama Associations (http://www.starllama.com/llamaassoc.html). Chinook Llama and Alpaca Club (http://www.buyrightwater.com/llama/). Llama Association of Southern California (http://llamasofsocal.org/WordPress/). Llamas of Central Colorado (http://www.coloradollamas.com/). Florida Alpaca Llama Association, Inc (http://www.falainc.com/). Kentucky Llama and Alpaca Association (http://www.kyllamaalpaca.com/). Maryland Alpacas and Llamas Breeders Association (http://www.marylandalpacas.org/pages/alpacas_llamas.html). New Hampshire Lama Association (https://www.facebook.com/New-Hampshire-Lama-Association-192125860823976/). Pennsylvania Llama & Alpaca Association (http://plaa-net.org/). Central Oregon Llama Association (http://www.centraloregonllamas.org). Central Oregon Llama Association (http://www.centraloregonllamas.org/). Southwest Washington Llama Association (http://swwla.com/). Vermont Llama and Alpaca Association (http://vermontllamaalpacaassociation.blogspot.co.uk/). Asociación Criadores De Camélidos De Argentina En Argentina 2014 (http://www.viarural.com.ar/viarural.com.ar/ganaderia/asociaciones/camelidossudamericanos/default.htm).